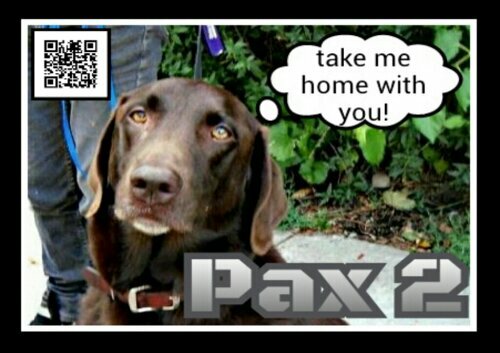 I am Pax 2, and I am the most charming 5 year old, 3-legged Chocolate Lab you will ever meet. I lost my leg about a year ago, it had gotten broken in 3 places and the vets did an awful job in repairing it, so in the end I lost it. However, I get along very well, can really run at the dog park, have learned to go up and down stairs and have adapted quickly. Of course, I’m not up to a 2 hour hike in the woods, but slow, nice long walks are good. My family moved away and left me with a family member to find me a home, but she was unable due to the fact I only have 3 legs. I guess she wasn’t looking in the right place as I know Sophie’s had many handicapped dogs, and they find a home just like any others. The fact I’m missing a leg is not even that noticeable and hey, if I’m used to it, you will get used to it too. 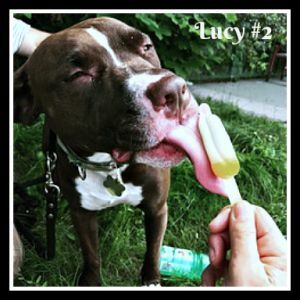 I have not lost my sense of humor, I love to play with other dogs, want to cuddle and get as well as receive, some love and affection. I am also good with kids and babies, so pretty much any kind of family would be great as long as you’re not looking for a biking partner! Because of my missing leg, I have to stay at a good healthy body weight, but if you keep me fit and trim, the other leg should not give out. I am also of possible interest if he is still available. Wow, awsome eyes, you can see he is a good soul ….. I was looking at Felix and then saw Pax…… again at the risk of repeating myself, how do you think Pax would do with 3 extremely gentle cats?